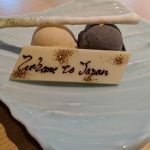 Home > Blog > 【The Latest Updated! 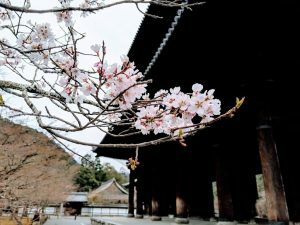 !】The Full of Cherry Blossoms”SAKURA” in Kyoto are Coming THIS WEEKEND!! 【The Latest Updated! 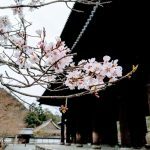 !】The Full of Cherry Blossoms”SAKURA” in Kyoto are Coming THIS WEEKEND!! 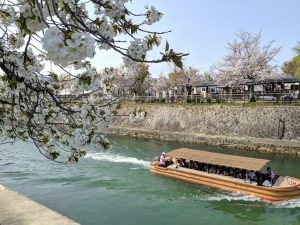 Are you exited at the full of cherry blossoms “SAKURA” in Kyoto? It is almost coming!! Today I went to check their percentage but it was just 20-30%. It means NEXT WEEKEND is the day of full!! NOW cherry blossoms “SAKURA” are fully blooming!! 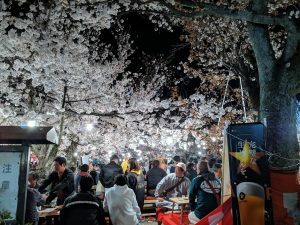 It is the best timing to see cherry blossoms and do Hanami that hanging out, drinking and seeing SAKURA. Everywhere you go, you can see the full of cherry blossoms!! Don’t miss it!! It could be the best timing to see full of cherry blossom “Sakura” in Kyoto next weekend. Kyoto has a lot of awesome places to see them but I highly recommend that we go to Keage Incline(蹴上インクライン). Spring season is high peak by tourists, it is better to act early morning. Actually I went there today’s morning, there are some people such an early morning!! 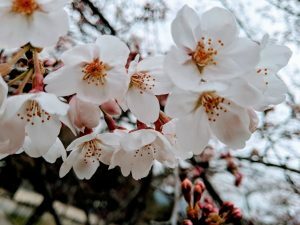 Before introduction, I will explain why Japanese cherry blossom is so famous. Firstly there are many types of cherry blossom but mostly Japanese “Sakura” is “Someiyoshino”. It is short life, just during a week. This moment shows a Japanese culture “盛者必衰(Prosperous must decay)” All the flowers are short lived. That is why we admire their beauty, is not it? 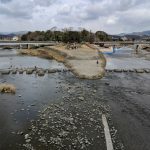 So almost cherry blossoms at Keage Incline are Someiyoshine so do not miss this timing!! 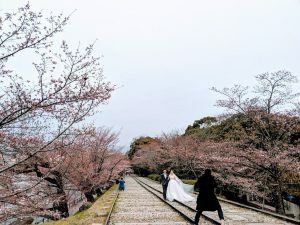 Needless to say Sakura is beautiful, there is one more interesting tip that this is a railroad track be used to use long time ago. This railroad track from Shiga to Kyoto was used by carrying Rice, Charcoal, Soy Source and Sake from Meiji to Syowa era. 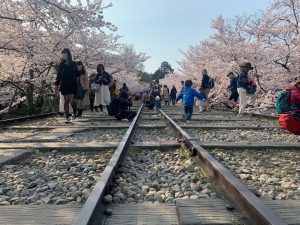 Therefore we can take great pictures Cherry Blossoms and Railroad Track. This place is instagramable spot. As you can see, some couples dressed up take pictures for good memories. Where should we go next? 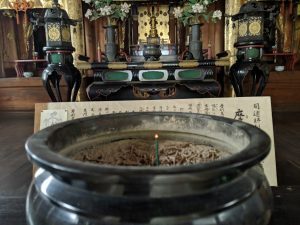 Nanzenji Temple(南禅寺) is good for us. But it open from 8:30am, how about having a breakfast first? 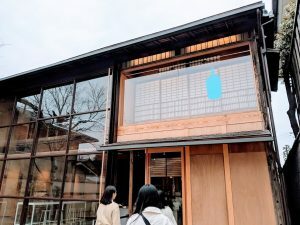 Today I went to Blue Bottle Coffee nearby Nanzenji Temple. 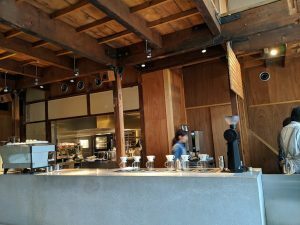 This coffee shop is originally based in North America but it is now expanding worldwide. 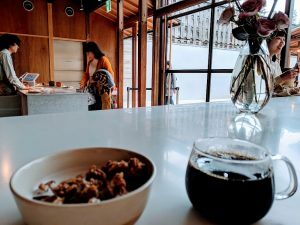 Their atmosphere is mixed with Japanese modern style. We can chill out with some meals and coffee, of course a relaxed mood. It opens at 8:00am. We can wait here for opening Nanzenji Temple until 8:30am. 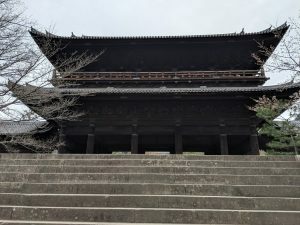 Now that let’s go to Nanzenji Temple. 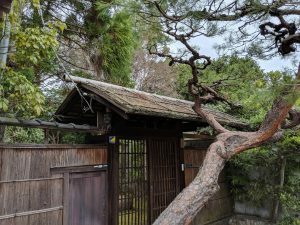 Nanzenji Temaple was established by Emperor Kameyama in the middle Kamakura Era. It is considered as significance in Zen Buddhism. 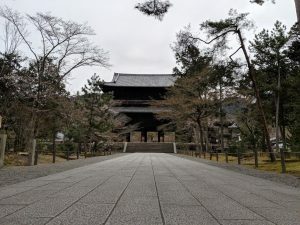 Nanzenji Temple had the title of “First Temple of the Land” and played a supervising role. Its notable structures are Sanmon Gate(三門), Hojo Garden（方丈庭園） and Suirokaku Waterway(水路閣). Waterway is also an instagramable spot. Let’s check # tag “suirokaku”. Do you have more time? 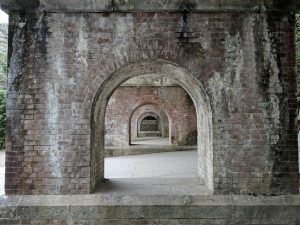 We can head Okazaki area where I introduced a previous blog on foot. 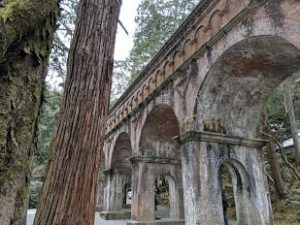 There is a lot of seeing place especially Heianjingu Shrine(平安神宮). Please check it HERE. 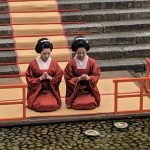 By the way do you know how and what we do in front of Temples and Shrine? There are big differences between Temple and Shrine but I will explain it later. Today just learn what and how to pray in front of them. Commonly Temple and Shrine, we just pray and are appreciated with thanking for protecting us. Do not wish anything like wanna get a girlfriend and be rich. Even though Japanese, many people misunderstand it. Next, the differences how to pray between temple and shrine. In front of temple, we bow 2X, crap 2X, pray and bow 1X. On the other hand in front of shrine, just pray and bow 1x without crapping hand. 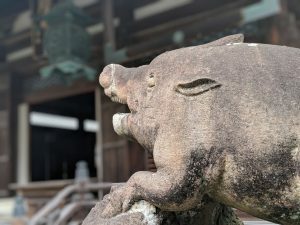 At first glance, it looks same symbol between temples and shrine however it is big differences. What is differences? I will show next blogs. If you are interested in it, please check and like our facebook page.